The village of Chilbury in Kent is about to ring in some changes. The women of Chilbury village have taken umbrage at the Vicar’s closure of the choir now that its male singers are at war. But when spirited music professor Primrose Trent arrives, it prompts the creation of an all-female singing group. 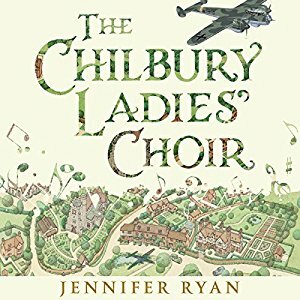 Resurrecting themselves as The Chilbury Ladies’ Choir, the women use their song and unity to embolden the community as the war tears through their lives. Dependable Mrs Tilling sees the choir as a chance to finally put herself first and a welcome distraction from thoughts of her son fighting on the front line. For Kitty Winthrop, the precocious youngest daughter of Chilbury Manor, singing is the only way to outshine her glamorous sister Venetia, who isn’t letting the war ruin her plan to make every bachelor in the county fall in love with her. Meanwhile, when midwife Edwina Paltry is presented with a dastardly job which she’s convinced will make her rich, she will have to misuse more than the trust of the choir’s women to carry out her scheme – and nothing is going to stop her. Choral music sung by Mums N’ Roses, with musical direction by Craig Hudson. I was totally in love with this audiobook book. 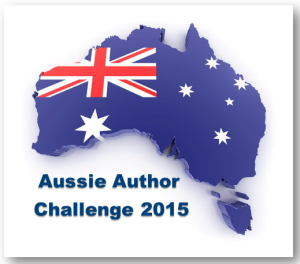 It is a debut novel by Jennifer Ryan – I can only say it was enthralling. Set in southern England in a small village in 1940, it examines the life of the people as they start to face the reality of most of the men gone to war. Up until now there has been a choir, but now with the men gone the vicar has cancelled the choir. But… soon the women are rallying around Prim the choir mistress and they are setting up their own group. The story is told by four or five characters through letters and journals. However it is seamless and actually doesn’t feel like letters and diaries. Rather the story told from different points of view. That’s where the narrators come in, they do an amazing and outstanding work of bringing this book to life. 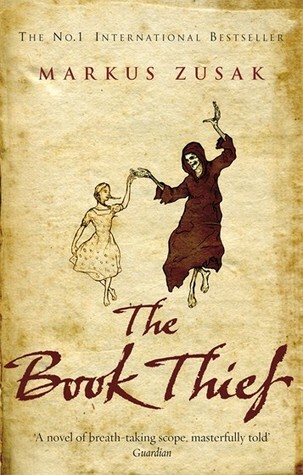 By itself its a great story, with the narration absolutely brilliant. I see on Jennifer Ryan’s website that the book has had the TV rights optioned by the makers of the makers of Downton Abbey. I sure have my fingers crossed that this will go ahead. The characters are really interesting, they feel like real people, some of them are rogues and worse, one of them rather precocious but delightful, others kind and compassionate and already the war is changing many of them. The women are strong and resilient and were mostly a joy to follow, even the rogue amongst them. Highly recommend this as an audiobook. Thanks to Mary from Bookfan for bringing it to my attention, it will for sure be on my top books for 2017 as well. 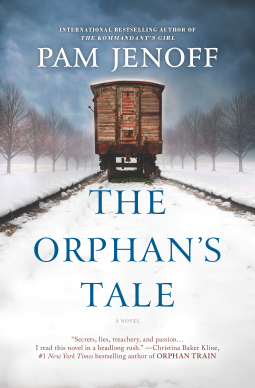 The Orphan’s Tale by Pam Jenoff was a very moving read. Yes a little reminiscent of that powerful book The Nightingale by Kristin Hannah, however very different in its own right. The two women – Astrid a Jewish woman hiding and sheltered in a circus and Noa a younger woman who was cast out from her home in the Netherlands when she became pregnant. When Noa stumbles into the care of the circus the two women forge a special relationship. They were both very strong each in their own way and I really liked them both. While it took them some time to come to an understanding, once they did the bond, the loyalty and trust knew no bounds. This was a book that once I started to read I couldn’t put down. Beautifully written, very emotional and well worth reading.